India voiced concern that sexual violence, abductions and human trafficking continue to be used as weapons of war in armed conflict by non-state actors and terrorist organisations. 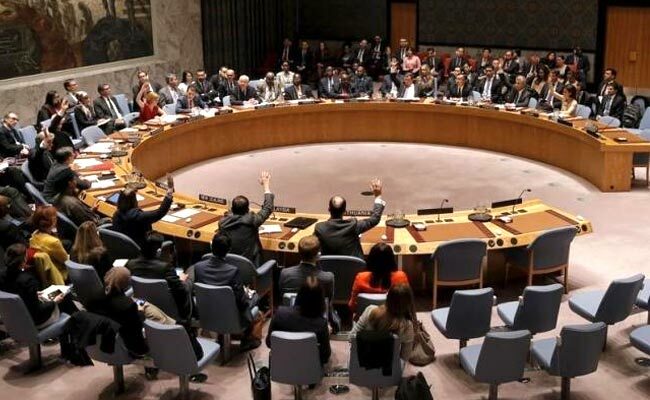 India has called for the UN Security Council sanctions regime to "proactively" list terrorists and terror groups involved in sexual violence in armed conflicts, underscoring that prosecution of criminals engaged in trans-boundary crimes is critical to deliver justice to victims. First Secretary in the Permanent Mission of India to the UN, Paulomi Tripathi, on Thursday said that women's role and perspectives in peace processes remain largely neglected despite the normative and operative frameworks relating to women, peace and security agenda having been considerably strengthened across the UN system over the last two decades. She voiced concern that sexual violence, abductions and human trafficking continue to be used as weapons of war in armed conflict by non-state actors and terrorist organisations. "Rapidly expanding trans-boundary criminal networks finance terror, supply arms, recruit and train of foreign fighters and destabilise whole regions which disproportionately affect women," she said during a UN Security Council debate on 'Women, Peace and Security'. Ms Tripathi noted that large scale movements of refugees emanating from armed conflicts increase the vulnerability of women to discrimination and exploitation. Emphasising the need for global cooperation in this front, she said no country is in a position to effectively counter these challenges alone. "As the General Assembly focuses on gender sensitive and inclusive development to build peaceful and resilient societies, the Council must push for effective cooperation on countering terrorism that threatens peace and security," she said. Ms Tripathi asserted that the Council must make all efforts to realise the full potential of integrating women, peace and security considerations in sanctions regimes. "The Sanctions Committees of the Security Council need to address the issue of proactively listing terrorist individuals and entities involved in sexual and gender-based violence in armed conflicts." "International cooperation for prosecution of criminals engaged in trans-boundary crimes is important to bring justice to the victims, large number of whom is women and girls," she said. Earlier, UN Secretary General Antonio Guterres told the Council's annual high-level debate that the participation of women in formal peace processes remains extremely limited and the international community still has "far to go" as conflict continues to have a devastating effect on women and girls. He said between 1990 and 2017, women constituted just 2 per cent of the mediators, 8 per cent of the negotiators and 5 per cent of the witnesses and the signatories in all major peace processes. The UN documented more than 800 cases of conflict-related sexual violence in 2017, a 56 per cent increase since 2016, he said. "Women human rights defenders, political leaders, journalists and activists, who play an important role in addressing the root causes of conflict, are targeted at alarming rates," Mr Guterres said adding that women's marginalisation, lack of access to health and education services, and economic disempowerment continue to be both a cause and an effect of conflict. He also voiced concern that funding for programmes to promote gender equality and empowerment of women in countries affected by conflict is just 5 per cent of the total bilateral aid to such countries. Ms Tripathi pointed out that the importance of women's active engagement and leadership in peace and reconciliation processes and in countering spread of violent extremism is well established. She said the issue of women peace and security has also to be seen in the wider societal context, involving gender and development issues, which are dealt with outside the Council. Ms Tripathi told the 15-nation UN body that India is committed to a higher representation of women in peacekeeping missions and has fulfilled the pledge to have 15 per cent of military observers as women. India has recently partnered with the UN Women toward a capacity building initiative. Under the initiative, the New Delhi-based Centre for UN Peacekeeping (CUPNK) conducted the third UN female military officers course for 40 women military officers from 26 countries. India also fully supports UN Secretary General's zero-tolerance approach to sexual exploitation and abuse, and strong commitment to achieving gender parity in peace operations, she said. Despite greater participation of women in building and sustaining peace and the recognition from all quarters of the value they bring, the realities on the ground show that much more remains to be done, Mr Guterres said. "Every year, we make laudable commitments. But they are not backed with the requisite financial and political support," he said, noting lack of inclusion in mediation efforts and limited space for women to participate as peace builders. He said it was "crippling to our credibility and protection capacity that women represent only four per cent of our military peacekeepers and ten per cent of police". He added that the UN fully supports the innovative efforts launched by the member states this year to incentivise greater women representation.